Is the world getting better or worse? You’d be excused for answering with the latter, especially considering the nature of global events covered in the media. When asked simple questions about global trends e.g. why the is the world’s population increasing, how many young women go to school, how many of us live in poverty? – we systematically get the answers wrong. So wrong that a chimpanzee choosing answers at random could consistently outguess journalists, Nobel laureates, and investment bankers. 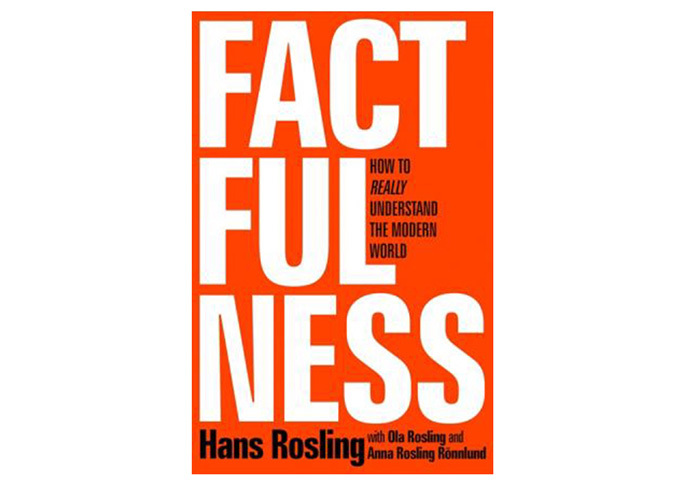 In this book, Professor of International Health, Hans Rosling, together with his two long-time collaborators Anna and Ola, offer a radical, new explanation of why this happens, and reveal ten human tendencies that distort our perceptions of global events and human progress. It turns out that the world, for all its imperfections, is in a much better state than we might think. However, persistent worrying, rather than taking rational, objective and global perspectives, can leave us blind to the things that should be of most concern. Inspiring and revelatory, filled with lively anecdotes and moving stories, ‘Factfulness’ is an essential book that will change the way you see the world.